We begin the year by looking back on one of the projects which marked the start of our journey, and which is still a reference point and inspiration for work well done, as is required for forming part of the PORCELANOSA Group. 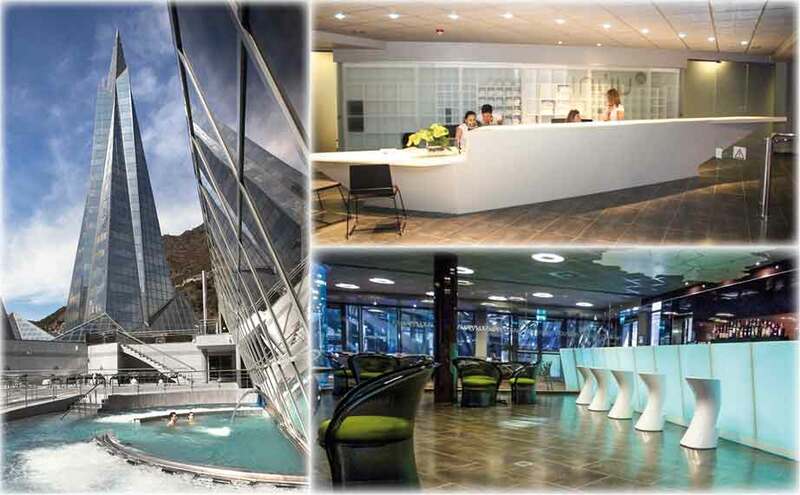 Caldea, the pioneering centre in termoludismo water relaxation, located in Escaldes-Engordany (Andorra), and designed by Jean-Michel Rouls, prioritises the recreational aspect of the spa experience, offering a different way of enjoying the benefits of water with friends and family. In summer 2016, Caldea-Inúu will open the first children’s spa in the world, where children of 3 to 8 years of age will be able to use an area of over 400m2, in which they will have fun with games in the water, a workshop area, activities and children’s treatments (foot massages, manicures, pedicures for girls, basic treatments with creams, etc). It is a family space created for offering children time for fun and natural care, based on the benefits of water. Inúu is a complementary project of Caldea, based on the Wellness Attitude and its exclusive services. In most of the facilities of this part of the centre we find the mineral KRION®: the counters, the reception, the changing rooms, the restaurant bar, and the bathroom countertops. There are endless applications for our compact mineral KRION® within the benchmark for modernism, elegance and practicality, encompassed by the Caldea-Inúu concept.